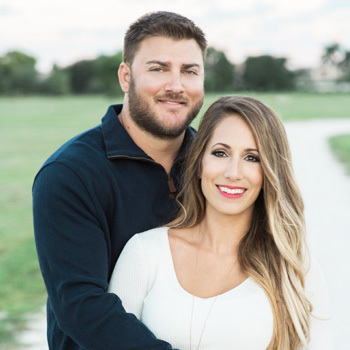 Wellington Chiropractor Dr. Tristan Miceli attended Palm Beach Atlantic University for his undergraduate work and then enrolled at the Port Orange, Florida Campus of the Palmer College of Chiropractic. At school, his view of chiropractic care as it relates to overall health was greatly influenced by Maximized Living, an organization that has developed a scientifically based holistic process founded on 5 core principles of wellness: maximized mind, maximized nerve supply, maximized quality nutrition, maximized oxygen and lean muscle, and minimized toxins. Dr. Tristan is committed to improving his skills and knowledge through continuing education. He is in the process of becoming certified by the International Chiropractic Pediatric Association (ICPA), which offers a program designed to expand the knowledge and ability of chiropractors in the care of pregnant women, infants, and children. He is also becoming certified in the Webster technique, a chiropractic approach used for pregnant women that results in safer and easier deliveries. He is also completing his certification as a Certified Chiropractic Wellness Lifestyle Practitioner through the International Chiropractors Association (ICA). The mission of Pure Wellness is to help people live their healthiest possible lives, so that they can physically do what they want to do—whether it’s stopping or reducing the use of pain medications, playing with their kids or grandkids, playing tennis or golf, riding a horse or simply being comfortable sitting in a chair at work. As part of his commitment to community wellness education, he enjoys making presentations at lunch and learn gatherings for businesses and organizations. For Dr. Tristan, it’s not just about getting people out of pain, as pain is a symptom of an underlying issue. He is focused on fixing the issue, allowing patients to be their healthiest selves, so they can enjoy life to the fullest. To be your healthiest self, contact us today to book an appointment!